When I visited Glacier National Park for the first time I wanted to experience everything. So I booked a tour on the red bus, took a helicopter flight over the Glacier and took a cruise around Lake McDonald on the DeSmet. 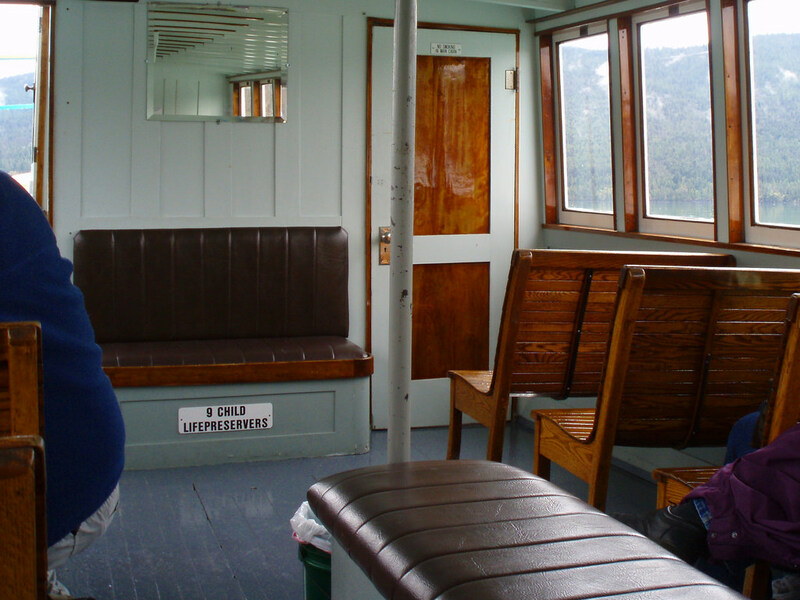 Historic wooden boat tours on the lakes of Glacier have been around since the late 1930’s. As we were closest to Lake McDonald we took a 1 hour tour for $16.25 USD. 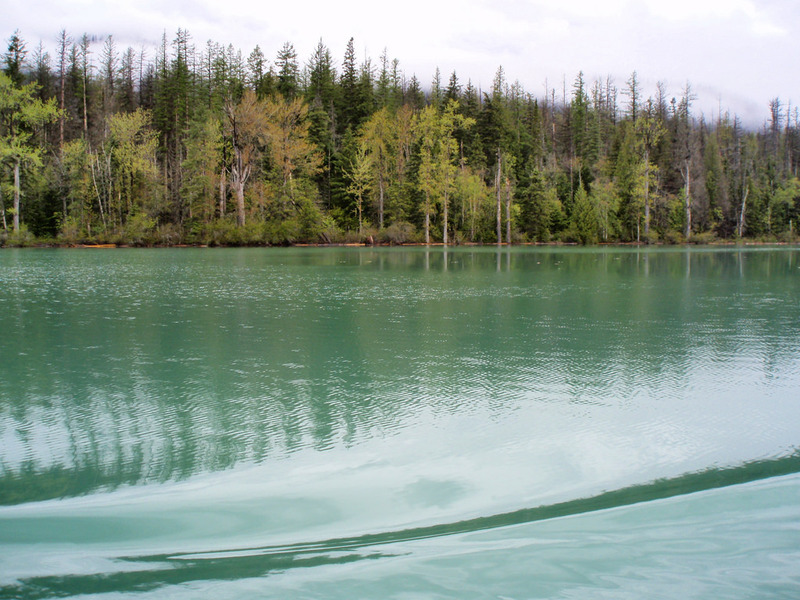 There are tours also offered at ST. Mary Lake, Two Medicine, Swiftcurrent and Lake Josephine. Our tour started out on the dock behind the Lake McDonald Hotel where we loaded into the 57-foot vessel made of cedar and oak. Although the boat can hold up to 80 passengers we only had a sprinkling of people that day. We found ourselves a seat on one of the wooden benches and awaited our cast off. 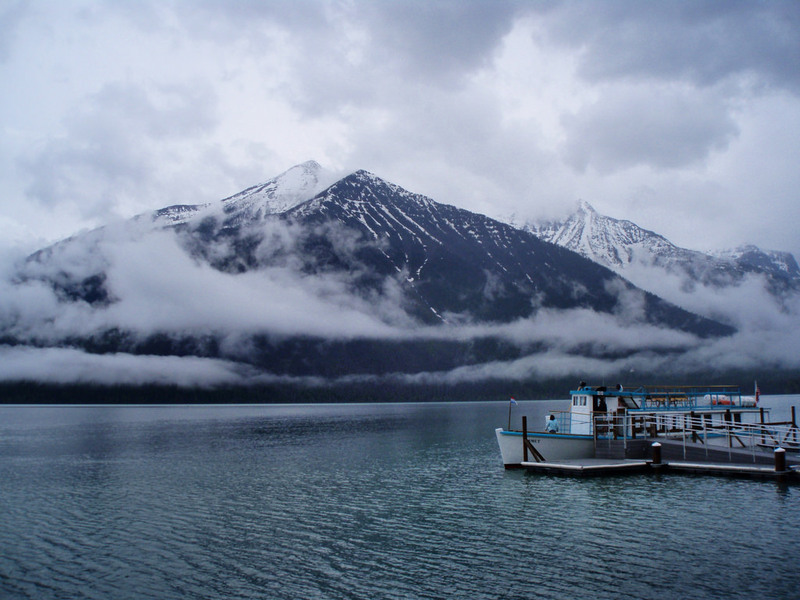 The boat moved at a slow pace around the lake, taking in the sites of the snow covered mountains, highlighting the burned mountains from the 2001 fire. I find it interesting that the NP service does not interfere with forest fires if the fire was created by nature (ie lighting strikes) within the park unless they are threatening structures, which in 2001 was the case with Apgar Village. The village was protected but the forest was allowed to burn as it is nature’s way of rebuilding the forest. I understand the concept, but I also find it bizarre as our natural reaction is to put out a fire. As we were cursing around the lake I could not help but notice the interesting color of the water. I had never seen such vivid colors, ranging from deep blue to a milky green color, all within a few minutes of each other. The daylight and minerals in the water influence the colors we visually see in the water. The sunlight gets refracted by the minerals and sends back to our eyes the blue and green colors while absorbing the reds, which creates the intense glacial water colors. As I mentioned there are many boat tours to chose from. We took the Lake McDonald tour as it was closest to where we were staying, and who wouldn’t want to see that lake up close? Tour times vary by season and pricing varies by which tour/lake you take a cruise on. I would definitely take another boat cruise, most likely on Swiftcurrent Lake as it is really a two for one cruise. Your cruise starts out on Swiftcurrent, stopping at a dock on the opposite shoreline, where you take a brief walk to Lake Josephine for another boat ride. There is also the option for a guided walk to Grinnell Lake or Grinnell Glacier – which seems like a real bargain for $24.25 USD for adults! yes it is definitely cold! Oh how picture-perfect. It all looks gorgeous, and I think I’d love to also do the fly over. Wow. The fly over was a lot of fun! Glacier is a pretty awesome place with lots of photo taking opportunities! That’s interesting that they don’t put off a natural fire, I also thought it was better to put them off. Was the forest growing again? The forest does grow back, but very slowly. 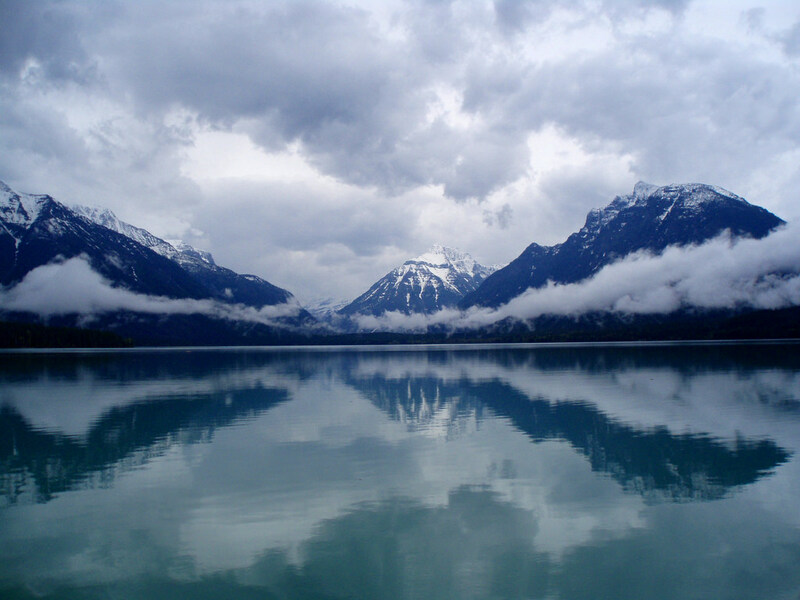 I love the color of the water – beautiful shot of the mountains and their reflection! I know letting the fires burn is a controversial policy – it goes against all our instincts to see something burning and not try to stop it! But they’ve figured out that we actually cause worse fires – ones the forest can’t recover from – by interfering with the normal fire and regrowth cycle. that’s understandable that it would cause worse fires. I think it was also interesting that thinning out the forest helps the wildlife as the plants they would typically eat would not be able to grow in a thick, overgrown forest. Wow, that last photo is stunning. The colours are magnificent! I don’t even mind the slightly off centre horizon. It makes it more authentic.